An aging workforce is set to retire in the next several decades just as a new generation of ambitious, motivated, and optimistic Millennial workers enter the work world. 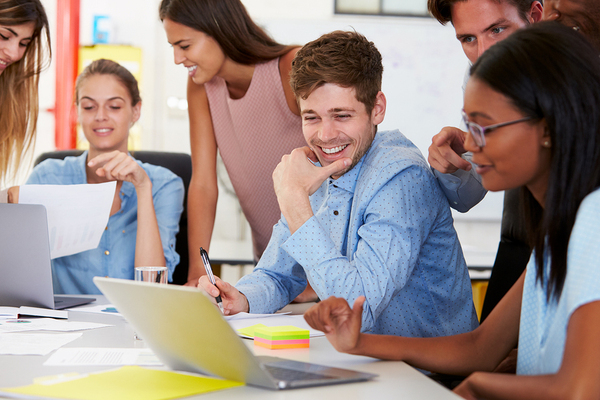 Companies need to have the right structures, employer brands, benefits, and attitudes in order to attract Millennial employees and to retain them as productive workers. Here are some tips for how companies can attract passionate grads today. Millennials have grown up with technology including smartphones, tablets, and frequent use of computers at school and at home. They didn’t just watch Sesame Street, they likely used apps, played videos, and used interactive games to hang with Elmo. They have a strong desire for autonomy but also want to be guided by strong mentors (and their parents) well into adulthood. They marry and have children later than their parents did. Work-life balance is a major consideration for Millennials, many of whom will sacrifice salary and advancement opportunities for the chance for more flexibility with schedules and leisure time. Employees want the flexibility to set their own schedules and work from home. The more you can accommodate this desire, the likelier you will be to attract and retain Millennial talent. Millennials want to work for organizations that are socially responsible. This matters not only in the companies they work for but also the brands they choose to buy. A 2016 study by Cone Communications found that 76 percent of Millennials look at a company’s corporate social responsibility statements and actions when considering a job. Sixty-four percent won’t take a job with a company that does not have strong social responsibility mindset. The Millennial generation has a less deferential perspective on authority figures. Respect needs to be earned, through actions and the amount of respect leaders show for younger employees. Millennials want to be heard and considered earlier than previous generations. Millennials are not looking for a 30- or 40-year career at the same company. Instead, they are looking to stay in places where they can learn and grow. That’s why robust training and learning programs are essential. Even those looking for their first jobs after graduation want to know what companies offer for leadership development, skills development, and professional growth. Companies that don’t provide these programs are apt to see younger employees leave more quickly. Millennials are one of several reasons companies are moving away from the annual review process. Managers will find that providing near-instantaneous constructive feedback on a regular basis helps keep employees on the right path and keep them better informed of their strengths and areas for improvement. Free coffee in the break room? It matters. Casual Fridays? Check. However, it isn’t napping rooms and free food that attract Millennials. Flex time, paid family leave, ample vacation packages, and student loan forgiveness help to drive employee loyalty and make for more productive and satisfied workers. At Vocate, we help companies find the new graduates that best match their human capital needs. Click here to get started with Vocate today.